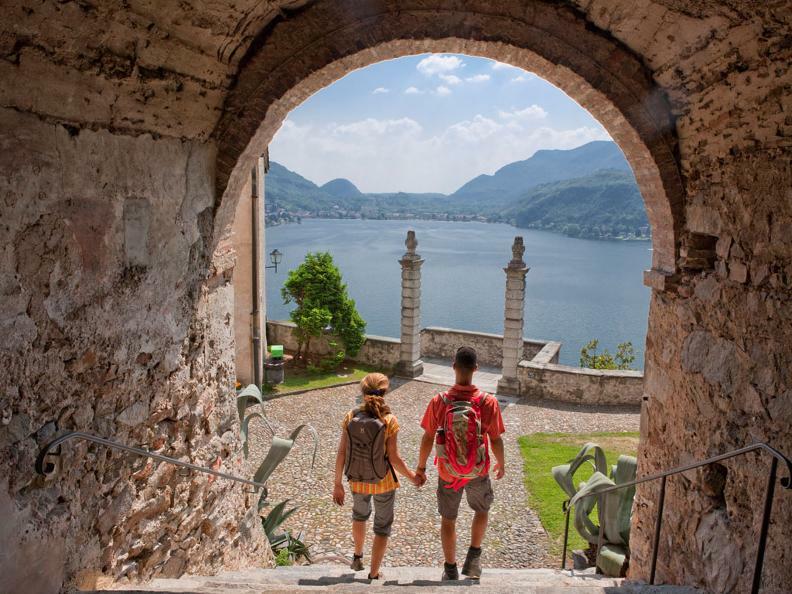 A Greek temple on the shores of Lake Lugano, next to a Siamese teahouse, or an Egyptian temple? 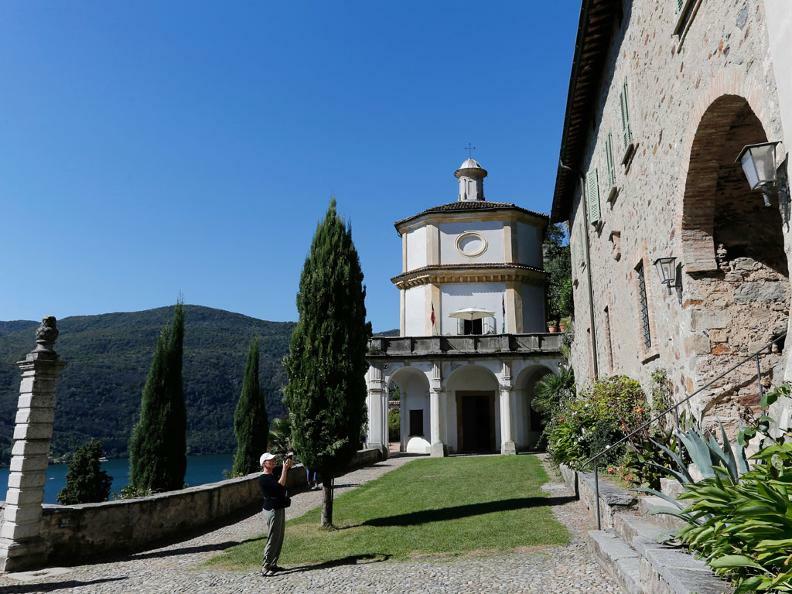 In 1930 a little old house with a stable overlooked by vineyards and a chestnut grove stood on the shore of Lake Lugano, at the foot of Mount Arbostora. Arthur Scherrer bought the house at that time, and also the land above it, hillside after hillside. First of all he oversaw the renovation of the house, transforming it into a magnificent residence with great architectural taste. He was a passionate gardener and a romantic, and thus over the years he created his “Garden of Wonders”. During his travels Arthur had admired a great number of exotic plants and, captivated by their charm, did not hesitate to reproduce the vegetation in the Park. Many plants today are still labelled with their scientific name. The park is made up of two areas, each with a predominant style: one Mediterranean and one Asian. The path first winds its way through Mediterranean-style gardens in Renaissance and Baroque style, with a wide array of statues. It then continues through an oriental landscape of bamboo forests, surprising the visitor with its Siamese, Arab and Indian buildings, surrounded by the typical flora of these regions. The garden was meant to act as an adornment for the great masterpieces of oriental sculpture and architecture and in fact, year after year, Arthur dedicated himself to reproducing reduced-scale models of several temples from the Mediterranean and exotic countries. This Eden attracts and still charms every visitor. Arthur Scherrer was born on 2 November 1881 in St. Gallen, son of a merchant and city council member, Gustav Hermann Scherrer, and the eldest of six children. After primary school he attended the renowned international institute, Schmidt, in St. Gallen and then moved to Lausanne, where he learnt perfect French. He attended the school of weaving in Aachen, where he became familiar with the vast field of textiles. He also studied Italian in Siena, and in North America he not only perfected his industrial knowledge, but also his English. He took over his father’s shop in Munich, Bavaria, and turned it into one of the most elegant shops in the city, specialising in English fashion. Arthur Scherrer died in 1956. 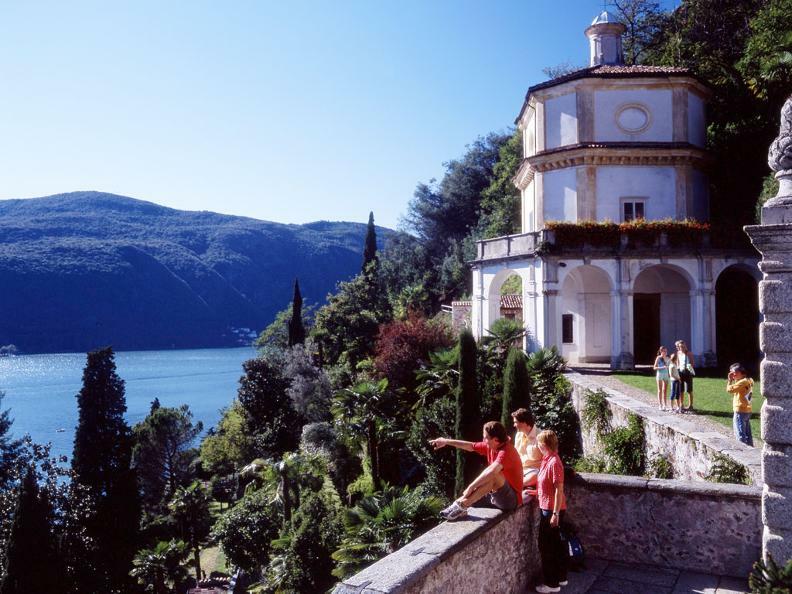 His wife Amalia left the entire structure to the council of Morcote in 1965, upon payment, with the explicit wish to open the park to the public. The Council carried out this project, meticulously adapting it to the needs of the vast foreign and local audience. The park is maintained as it was originally conceived by the Scherrer family. 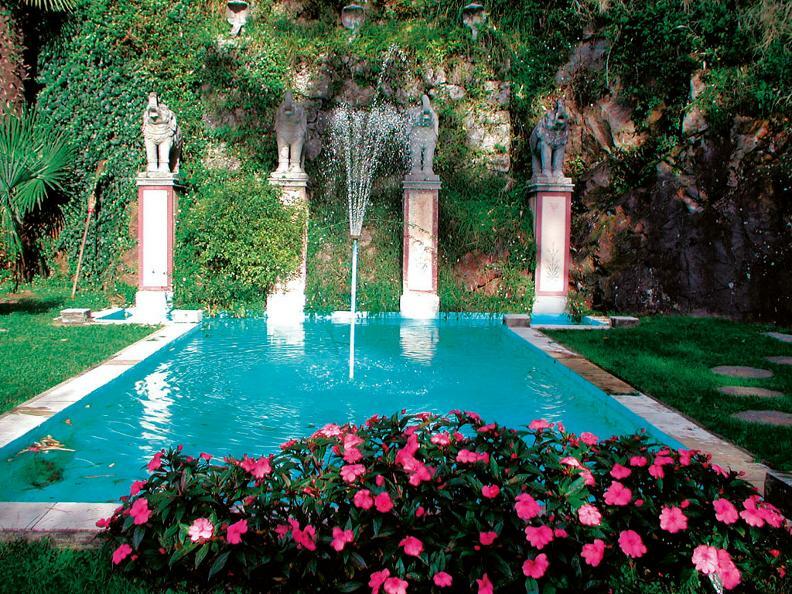 The garden has been a part of the prestigious chain of the “Great Italian Gardens” for several years. As from this year, due to its typical reconstructions of Baroque, Rococo’ and Art Nouveau-style buildings and works, it will be incorporated in the “Follies”-style genre of botanical parks. The Scherrer Park is part of the Gardens of Switzerland network, which brings togheter the most beautiful gardens of Switzerland. from 10 am. to 5 pm. / July and August from 10 am. to 6 pm.